A Great Place to Live! 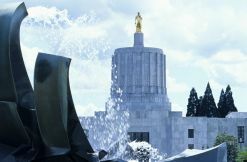 Salem, the capital city of Oregon, is strategically located midway between Portland and Eugene on Interstate 5 (I-5) in the middle of the fertile Willamette Valley, a 100 mile long lowland between the Cascade Mountains and the Lower Coast Range. Salem resides in both Marion and Polk Counties. Because of its proximity to Portland, its outstanding outdoor recreation, and the addition of high technology industries, Salem is in the midst of sustained, steady growth. Many who live in the Salem area do so because of its family-friendly ambiance and easy commute to the Portland metropolitan area. 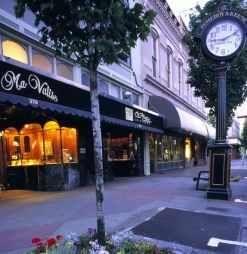 Salem was selected an All-America City several times by the Citizen's Forum of Self-Government/National Municipal League. The Willamette River, one of the few that flows from south to north, winds through the Salem area forming the boundary between Marion and Polk counties. With mountains and the majestic Oregon coastline to the west, mountains and lakes to the east, an abundance of rivers surrounding it and the state's largest city an hour to the north, Salem offers something for everyone. Ongoing preservation of the historic downtown buildings, along with a downtown core master plan for residential and commercial development, ensures managed growth. Salem takes great pride in its citizen involvement. Most redevelopment projects are supported by countless volunteers who cooperate with and complement city staff. Volunteers help create neighborhood parks, promote crime watch programs, staff libraries, and support a variety of other projects. For more info about the City of Salem, Click the links below!